One of the best things about living in New York as a music fan is that pretty much every band stops here on their tours. And luckily for those of us in Brooklyn, we often don’t even need to travel into Manhattan to get our music fix. Though it’s hard to pick just 10, here are some of the venues we enjoy most here. Nestled in the industrial hipness of Gowanus, the Bell House is a delightful two-room music and events venue that just celebrated its 10-year anniversary. You’ll find the 450-sq-ft stage easy to view no matter where you stand—no neck craning contortionist maneuvers needed. And there’s something for everyone here, from Rocky Horror Picture Show Live Karaoke and taxidermy competitions, to comedy and your favorite bands. You’ll notice details like the 25-ft arched wooden ceilings, chandeliers and wood trimmings that help transform this former 1920s warehouse into a modern space paying homage to the charms of yesteryear. Come for the music, stay for the bowling alley, cocktails and food. This Williamsburg venue always has a jampacked calendar spanning a range of genres, including kid-friendly Rock and Roll Playhouse gigs on Sunday, which is a nice way to introduce your little ones to your favorite bands. (Night shows are strictly 21+.) You won’t find typical ho-hum bowling fare of stale fries or day-old hot dogs here, instead there’s a tasty selection by the foodie favorites at Blue Ribbon. 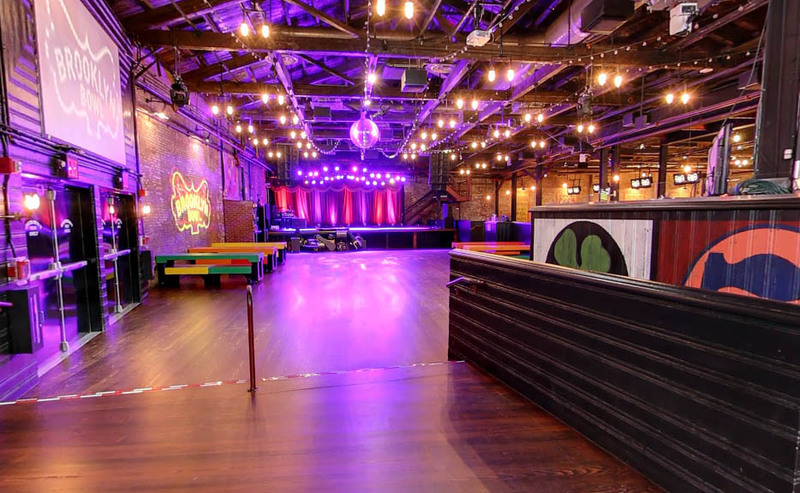 The world’s first LEED-certified bowling alley, Brooklyn Bowl uses wind-powered electricity, no bottles or cans, and LED stage lights, so when you hang out here you can feel like you’re a part of something great. We love this one—not only because it’s in our backyard but because there’s nothing like being able to see a show while enjoying the fresh air. You can catch plenty of free performances every summer via the popular BRIC Celebrate Brooklyn! Festival, which invites New Yorkers to come out, rain or shine, to see global music icons, jazz artists, indie bands, dancers, films, theatre and spoken word gigs. A sizable venue, the Bandshell holds 2000 in the plaza area and another 5000 on the lawn. The Bandshell was added to Prospect Park in 1939, renovated in 1983 and has since been a unifying gathering place for all. Formerly Loew’s Kings Theatre, a Flatbush movie palace that opened in 1929 and closed in 1977, Kings Theatre sat vacant for years until a recent renovation and reopening in 2015. We’re glad it reopened because aside from being able to catch some talented acts here, the gorgeous building is an attraction in itself. The authentic restoration of the 1929 design included original plaster and painting schemes, recreating vintage seating and carpet, and reinstalling historic light fixtures. With a capacity of 3000, the venue is well-suited for big names in music, comedy and dance. There are a number of family-friendly events too, so if you’re looking for a place to take the kids, Kings Theatre is worth looking into. Located in Williamsburg, Brooklyn Steel is a newer venue that opened in 2017 with a five-show run by LCD Soundsystem. Truly one-of-a-kind, this place has a slew of noteworthy features like the main room’s movable stage—which allows for capacities of 1800, 1500 or 1200, depending on the type of show—angled balconies for easier views and high-capacity bathrooms so you don’t get stuck waiting in long lines. In addition to the main floor, there’s a balcony and three bars. Named for its industrial look, much of the steel from the original building was repurposed throughout. People often compare the tall box-look to that of Terminal 5, but much more intimate. You may know this venue as Northsix, as that was the name when it opened in 2001. But in 2007, Bowery Presents (who also runs Brooklyn Steel) took it over and renovated it. With a capacity of just 550, this is a good spot to check out less popular or up-and-coming indie bands—or to catch a secret show by a legend like Kendrick Lamar. The venue features a curved wall for optimized acoustics and a bar on each of its three floors, so hopefully you won’t find yourself waiting too long for a drink. This 24,000-sq-ft converted Bushwick warehouse is more like multiple venues in one, with two inside stages and one on the rooftop. If you’re up for an artsy combination of live music, immersive art, up-and-coming artists or a DJed party, this might be your jam. The one-level Hall area features a large mosaic with color-changing panels and accommodates 675. The quaint Zone One room hosts nightly music and fits just 200. And the 500-capacity rooftop boasts sunset happy hour, food pop-ups, film screenings and more, all against the backdrop of Manhattan. There’s also a built-in floating project space for emerging visual and installation artists, as well as a café. Co-founded by bassist Matt Garrison (whose father played bass for John Coltrane), ShapeShifter Lab is a 4,200-sq-ft Gowanus venue that hosts the world’s most innovative artists who are seeking a flexible platform to showcase their work. 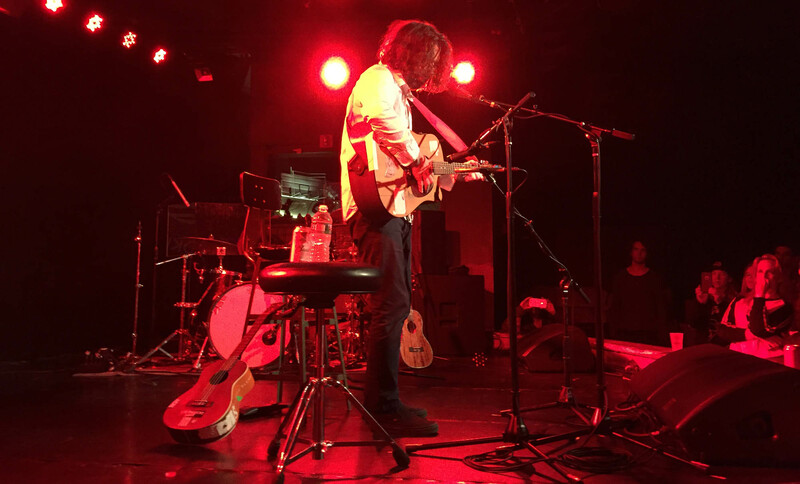 Garrison used his touring musician experience to help design the space with versatility in sound, layout and lighting—all of which are tailored for each performer. With partial focus on modern technology and part on highlighting music history and evolution, ShapeShifter is much more than just a performance venue. Think of it as a modern jazz club that hosts music workshops, art exhibitions, dancers and film screenings. Adjacent to Musical Hall of Williamsburg, you’ll find National Sawdust, a beautiful non-profit venue whose mission is to build audiences for classical and new music. 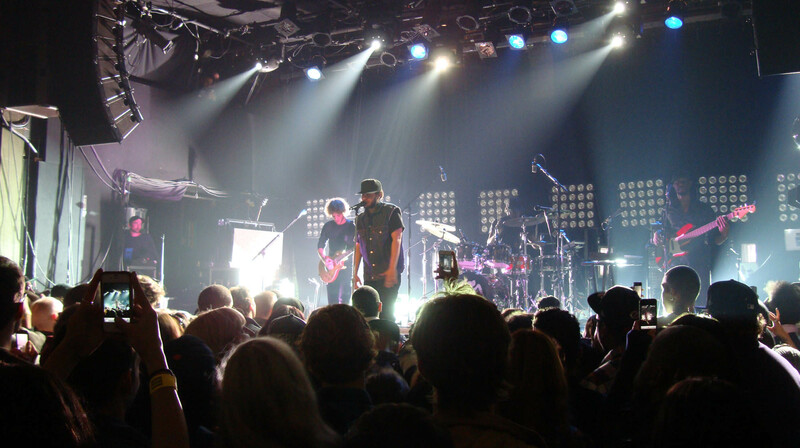 In addition to giving musicians a place to showcase their talent, the venue provides artists with ongoing resources and support. National Sawdust was co-founded by Paola Prestini, a successful classical composer and Juilliard alumna, and her aesthetic is woven throughout everything that the venue does. More like an art gallery than a traditional music venue, here the shows are handpicked by curators, and the venue is known for its dedication to innovative composition and performance, and its artist residencies. Even if you’ve never been, you’ve probably heard of this iconic venue that’s been around since the ’80s—though originally in Manhattan. Aside from music, the Knitting Factory has been known for poetry readings, standup comedy acts and performance art over the years. These days the venues hosts everything from indie rock, punk and underground hip-hop, to comedy and their Sunday Funday Bash, complete with DJs, bands and inflatable zebras. Though people joke that this is the venue that never dies, as its on its 3rd NYC locale, they now have locations scattered all over the country, so clearly they’re doing something right. If you go, just be sure to get there early. With a small capacity of around 300 in the main room, it can get fairly crowded. These are just some of our favorites…which ones did we miss?